PRESQUE ISLE - The Aroostook Aspirations Initiative (AAI) will be celebrating its anniversary in style with a daylong event at the Aroostook Centre Mall tomorrow. Aroostook Aspirations Day is from 10 a.m. to 3 p.m. Organizations, including the Aroostook Partnership for Progress and Northern Maine Development Commission, will join AAI at the mall to celebrate the day, the County, and the people who make it so special. April Flagg, executive director of Aroostook Aspirations, said there will be lots of entertainment and the 2014 Gauvin Scholars will be officially announced. In addition, the organization will unveil a wall promoting education and the work of the program. "It will be a day to remember for sure," stated Flagg. "We anticipate large numbers of people. There will be a ton of booths, lots of interaction for the children and of course, a surprise or two." County Commissioners and the state Legislature proclaimed June 7, 2014, and Senators King and Collins read it into the Congressional Record for the nation. Co-founders Sandy and Ray Gauvin and Jason Parent publically launched the Initiative Friday, April 12, 2013, at the Mark and Emily Turner Memorial Library in Presque Isle. Aroostook Aspirations has two missions: to provide significant opportunities for young people in the region to pursue their dreams and support higher education institutions and bolster economic development efforts in northern Maine. For more information, visit the Aroostook Aspirations Initiative website at www.gauvinfund.org, email info@gauvinfund.org, call (207) 760-0558, or send a letter at Aroostook Aspirations Initiative, 26 North Street, Box 138, Presque Isle, ME 04769. Company representatives, local dignitaries and economic development officials break ground on a $7.5 million expansion at the Naturally Potatoes processing facility in Mars Hill. MARS HILL - An expansion at Naturally Potatoes in Mars Hill is being applauded by economic development officials and heralded for public-private cooperation. 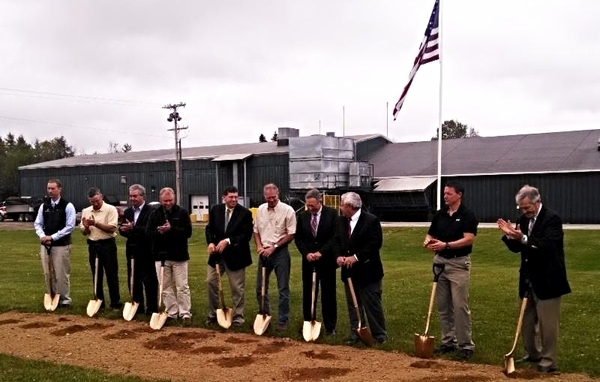 Ground was broken, Thursday, June 4, for a major facility expansion valued at $7.5 million. The expansion will include 12,000 square feet of dry storage; double the refrigerated warehousing area; more than double product cooling capacity; add a new water blancher, add new mashed potato kettles, add potato packaging equipment; provide a new employee's cafeteria; and provide space for a cheese packaging line. William Haggett, Chairman and CEO of Pineland Farms Potato Company, Inc. dba Naturally Potatoes, said, "When completed late this fall Naturally Potatoes' production and storage capacity will have doubled production, its customer diversification improved, and employee efficiencies been enhanced." Haggett also praised the Town of Mars Hill for its tax increment financing (TIF) support for the expansion, of which Northern Maine Development Commission (NMDC) has entered into a contract with the municipality and business to develop the application. "How TIF in this case is going to work is property taxes from this new investment will be captured and returned to be re-invested in the company," said Alain Ouellette, Planning and Development Division Director NMDC. "The town is truly a player in local economic development." Tax increment financing is a flexible finance tool used by municipalities, towns, plantations, and the Unorganized Territory to leverage new property taxes generated by a specific project or projects within a defined geographic district. Any portion of the new taxes may be used to finance public or private projects for a defined period of time up to 30 years. Ouellette said he is pleased to be working on another TIF for the business. He worked with Mars Hill on the original TIF for the startup company in the late 90s. "We find that our [NMDC] business relationship with the Town of Mars Hill has been a positive one and demonstrates the kind of linkages and cooperation that can truly happen when organizations work together," added Ouellette. In addition to the work with the tax increment financing in the beginning, the NMDC Business Finance Division provided $550,000 in loans to Fresh Way, Inc., the original parent company of Naturally Potatoes. From an economic development standpoint, the expansion comes at a good time for potato growers in northern Maine, with recent news of lower prices and acreage reductions in the region. Haggett said along with the expansion Naturally Potatoes is in the second year of a two year agreement with growers and expects to purchase 20 percent more potatoes and pay slightly higher prices per hundred weight this year than last. He also expects to increase employment at the potato processing facility by 10 to 15 employees in the next 18 months. About 100 people are currently employed at the facility. "In addition to new jobs, this comes at a great time for the Aroostook potato industry (with McCain's decreasing demand) as Naturally Potatoes consumption will grow from 50 million pounds annually to 60 million next year and expected to grow further after that" stated Bob Dorsey, Aroostook Partnership for Progress President. "This is a great success story that represents vision, a passion for the County, and a lot of hard work from both the private and public sector - that's a winning combination we hope to see more often going forward." CARIBOU - In an effort to get more money out to existing or startup small businesses, the Northern Maine Development Commission Business Finance Division has waived title and life insurance on Small Business Administration microloans of $10,000 or less. "We have a pot of money which is available, but for smaller loans of $10,000 or less the extra costs of life and title insurance make them less attractive," said Duane Walton, Director of Business Finance. Walton said that is not the only change. "We have also waived the origination fee for loans under $10,000," he said. Walton said there is about $800,000 in that program to loan, with a maximum loan amount of $50,000. "These are truly for small businesses, startups and expansions," he said. The SBA Microloan Program is to provide short-term, fixed rate, fixed payments loans to start up, newly established and growing small businesses. Borrowers may use the funds for working capital, inventory, supplies, furniture, fixtures, machinery and or equipment. Walton said these SBA loans may be good option for entrepreneurs because they come with some technical assistance, which can be very valuable to a novice businessperson. "We can provide ongoing technical assistance to the borrower to help them sustain or grow their business," he said. "The assistance comes from grant money associated with the loan, so there is no additional cost to the borrower for this help." 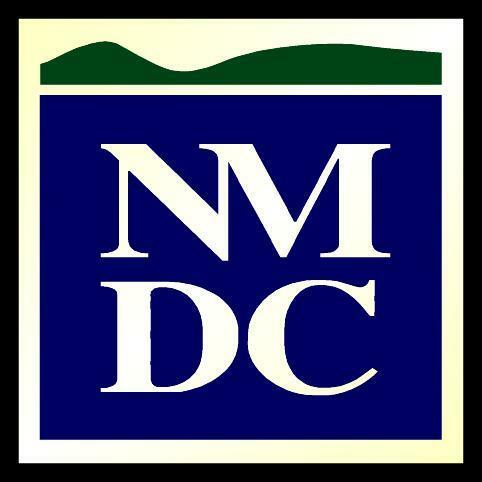 For more information on the SBA Microloan or other lending options at NMDC, contact the business finance division at 498-8736 or by email at dwalton@nmdc.org.